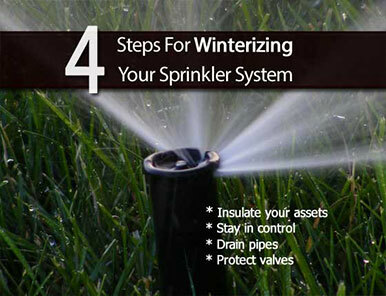 **Service warning** Winterizing your sprinkler system requires trained professionals with very specialized precise equipment and that a very specific process be followed to avoid freeze damage. This is not a job for a handy man or something your landscaper should perform. Be wary of any person or company that presents a remarkably low price to perform this service as we have seen in many cases this is a sales ploy to gain your trust (bait and switch tactic) only to charge significant high prices for repairs after inadequately servicing the system for the winter which will cause expensive damage and necessary repairs in the spring. The companies that advertise “specials” are notorious for these unethical marketing schemes. Buyer beware!!!!! SuperGreen guarantees all our work and we are properly licensed and insured for this type work. As late fall approaches and the cold weather begins to set in you need to begin to think about turning off your sprinkler system. The worst possible event that can happen to your system is freezing. If your system freezes it would be extremely costly to fix and could possibly require the entire system be replaced for thousands of dollars. This process would be even more expensive than a new system alone because your entire old system would need to come out of the ground. Winterizing the sprinkler system is NOT a simple service and requires very specialized equipment and the proper process, done in the right order. DO NOT LET ANYONE BUT A CERTIFIED LICENSED IRRIGATION TECHNICIAN TOUCH YOUR SYSTEM. All of our technicians are certified and trained to use this equipment. This equipment is very powerful yet precisely metered to not put too much pressure into the system in order to push all the residual water out. If all of the residual water is not completely removed from the system including all the components including main lines, all valves, heads, accessory pumps, solenoid valves, sump pumps etc. catastrophic damage will occur over the winter and the entire system could be compromised. Each zone must be blown out separately. The best time to winterize the system here in the north east is generally between October 1st thru December 15Th . We need to winterize the system before it freezes. When this service is performed correctly your system should only need minimum service in the spring. It is important to remember to call us early so we can get you scheduled for priority timing as our routes book up fast at this time of year. 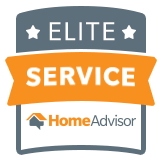 Call us early fall and you will get priority scheduling and we will always call you before we come out for service and e-mail you confirmation of your appointment. 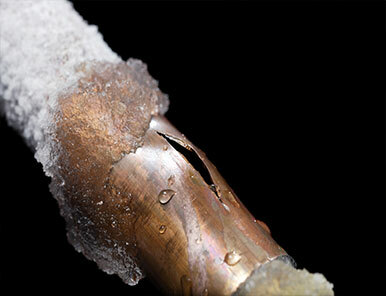 Your lawn sprinklers main water lines and valves will be shut down for the winter season. A very specialized metered high pressure compressor will be connected by our technician to your system and the sprinkler system will be filled with just enough air to blow out each zone and all components and manifolds with-out doing damage to the system. Each zone and manifold must be done individually until all residual water is evacuated from the system. You will hear a very loud jet engine sound while this is occurring and the technician will know precisely how long and how much pressure to use until all the water is out. Your clock, electrical sources and all controllers will be set in the dormant modes so as not to bring on the system. We will mark any valves and main water lines with a tag that states the system has been winterized with date and a “do not touch” tag will be put on those valve fixtures.